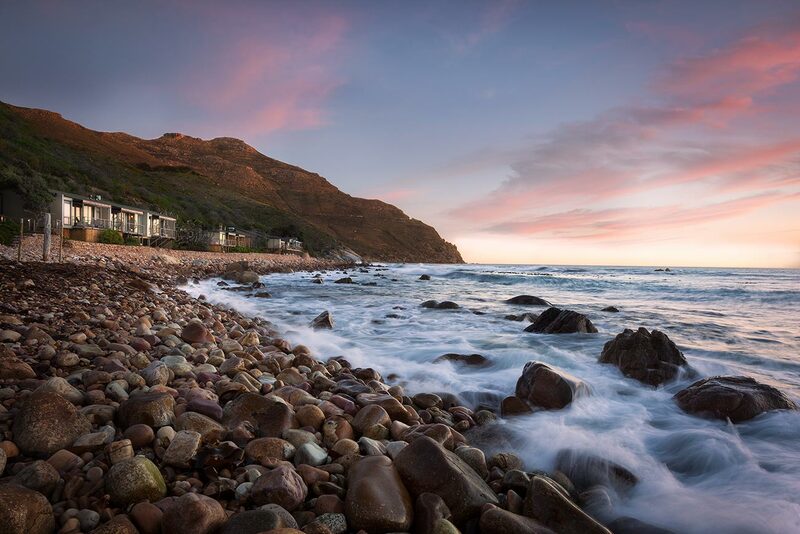 The Grandeur of the Garden Route experience begins at the foot of Cape Town’s Chapman’s Peak with a three-night stay at Tintswalu Atlantic. Sheltered by the Table Mountain National Park, this exquisite hotel is the perfect ‘home base’ from which to explore all that the Western Cape has to offer. From the Mother City to the food and wine heartland of the country, Franschhoek, where a two-night stay at La Residence awaits. Situated in the heart of this beautiful town, La Residence offers guests warm hospitality, the finest wines and world-class cuisine courtesy of award-winning, internationally recognised chefs. From world-class wining and dining to world-renowned whale watching, the next leg of this journey is a three-night stay in the seaside town of Hermanus at Birkenhead House. With an exhilarating cliff-top position overlooking the whale watching paradise of Walker Bay, Birkenhead House is an iconic showcase of South Africa’s finest hospitality, cuisine, wine and leisure. Wilderness is next on the itinerary. A spectacular, lavishly-appointed boutique hotel, The Views Hotel and Spa offer breath-taking views of the world-renowned garden route. Three nights in one of its 26 luxuriously furnished suites is guaranteed to leave you revived, revitalised and relaxed. After 72 hours at The Views, it’s time to check-in at The Plettenberg for three nights of the most breathtaking vistas in Southern Africa – ocean, mountains and seemingly infinite stretches of golden sand that make Plettenberg Bay a real gem. The penultimate stop on this journey is one night at Port Elizabeth’s 5-star No 5 by Mantis Hotel. Nestled in an upmarket beach suburb, this luxury boutique hotel is within 100m of the Indian Ocean and each of the ten exquisite suites are masterpieces of comfort and opulence. From Port Elizabeth, you will make your way to Port Alfred where the Oceana Beach and Wildlife Reserve promises to make the final three nights unforgettable. Offering a luxurious boutique hotel experience in a wildlife reserve on the Indian Ocean, Oceana is exclusive, yet unpretentious – a fitting end to an 18-day celebration of the best that the Garden Route has to offer. On your arrival at Cape Town Airport you will be met and transferred to the beautiful Tintswalu Atlantic where you will spend a memorable three nights. Perched above a pebbled beach at the foot of Chapman’s Peak, and overlooking the Cape’s iconic Sentinel mountain, Tintswalo Atlantic sits sheltered by the Table Mountain National Park. As the only hotel permitted to operate within the boundaries of the word-renowned Heritage site, the lodge enjoys the very best of magnificent, panoramic ocean views, as well as access to the natural beauty found along the mountainside’s winding hiking trails. With ten beautifully appointed suites and one regal presidential suite – all of which have been freshly re-furbished from floor to ceiling – Tintswalo Atlantic offers the luxuries of a world-class hotel, with personalized service and attention to detail. Managed by a host of dedicated staff, Tintswalo Atlantic offers guests nothing less than true Tintswalo hospitality, from the moment that they arrive at this seaside paradise. Enjoy sundowners on the deck beside the heated pool and share cooking tips with the charming Executive Chef, venture out to the quaint Hout Bay village, or take a drive to the nearby Cape Winelands for an unforgettable wine-tasting adventure. Located just a short, scenic drive from the vibrant city of Cape Town, guests can also embark on a suburban adventure into the heart of one of South Africa’s most exciting and eclectic cultures. Having been described as the most dramatic and romantic destination in Southern Africa, Tintswalo Atlantic promises to remain an idyllic location to rejuvenate oneself, away from the stresses and distractions of modern living. Today you will be transferred to the magnificent La Residence in the breathtakingly beautiful town of Franschhoek where you will spend the next two nights. Five minutes’ drive from the charming curio shops and galleries of Franschhoek village, the hotel provides complimentary transfers so guests can explore at their leisure. There are excellent village restaurants to try as well as a range of activities from horse-riding to chocolate-tasting. A stone’s throw from La Residence, in a tranquil vineyard setting, five Vineyard Suites offer spacious accommodation in a variety of configurations for up to 20 guests, including children of all ages. There are stylish rooms for dining and relaxing and luxurious bedrooms with marble en-suite bathrooms. All have private terraces and gardens; four have their own pools. Complimentary drinks and snacks, wide screen televisions and DVD players create a homely feel. From La Residence it is on to the beautiful seaside town of Hermanus where you will spend the next three nights in pure luxury at the world-renowned Birkenhead house. Guests will be transferred back to Cape Town International Airport from where they will board a very short flight to the scenic town of George. On your arrival at George airport you will be met with a hire car so that you can mosey on to the spectacular The Views Hotel and Spa, an approximate 20 minute scenic drive, where you will spend an amazing next three nights. A spectacular, lavishly-appointed boutique hotel with breath-taking views of the world-renowned Garden Route. Revive, revitalise and relax in a luxurious oasis of pure tranquillity. This serene retreat, perched high above Wilderness Beach, offers spectacular panoramic views of the Indian Ocean and Outeniqua Mountains. Let the worries of the world wash away and awaken your senses as you soak in the sublime surroundings. Whether seeking a gentle nature filled break or a vigorous outdoor holiday Wilderness really does have something for everyone. Lots to do, lots to see, the perfect place to make special memories. The 26 luxuriously furnished suites are designed to afford you front row access to the awe-inspiring vistas of the Garden Route, with each boasting large glass windows that open out onto striking panoramas. Both non-sea facing and sea facing suites epitomise 5-star living, their sumptuous interiors custom-made for comfort, and fully equipped with plush couches, flat-screen TVs and opulent en-suite bathrooms. Awaken your senses and soothe your soul at our fully equipped on-site spa, a tranquil oasis designed to uplift, revive and refresh. Indulge in a therapeutic massage, nourish your body with one of our revitalising skincare treatments. Fully equipped with a gym, a hydrotherapy bath, a Vitality Pool and a Tylarium Sauna, Views Spa welcomes you to enjoy a world of well-being. Today you will be travelling all along the garden route, past numerous beautiful little towns to reach your next destination, The Plettenberg Hotel. A breathtakingly beautiful hotel with magnificent views where you will spend your next three nights. This is an approximate one hour drive. The Plettenberg, situated on a rocky headland in Plettenberg Bay, along the famous Garden Route – is the ultimate South African seaside escape. The five-star hotel, with its 35 beautifully appointed rooms and villas, showcases the most breathtaking vistas in Southern Africa, with views of the ocean, mountains and endless stretches of golden sand. Guests may enjoy world-class cuisine courtesy of Group Executive Chef Peter Tempelhoff’s SeaFood at The Plettenberg, where fresh seafood is the order of the day. Offering guests an experience beyond expectation, here luxury accommodation options abound, culinary journeys are crafted and memorable moments shine through. The Plettenberg offers a variety of facilities to help enhance your stay, including two refreshing pools, a pampering spa and an elegant boutique. Whether you choose one of the entry-level Double Rooms, spacious Premier Suites or exclusive Villas, you can rest assured that you will experience the most stylish and comfortable accommodation. An approximate 2 and a half hour drive will bring guests to the stunning No5 by Mantis Hotel where they will overnight for the night, before heading off the spectacular Oceana Beach & Wildlife Reserve the following day. Nestled in the upmarket beachfront suburb of Summerstrand, No5 by Mantis is less than ten minutes from the airport and within 100 metres of the Indian Ocean. No stone was left unturned to ensure that their ten exquisite suites are masterpieces of comfort and opulence. No5 by Mantis is superb accommodation for business conferences or pleasure, offering the service excellence that the Mantis Group is renowned for the world over. The tranquil surroundings have inspired the plush interiors designed for guests who expect nothing but the best. Ten exquisite suites, all masterpieces of comfort and opulence, are equipped with business units to keep guests connected with the world. Relax in your lounge with a selection of beverages from your private bar or freshly brewed coffee. In-room dining options allow for a personal five-star meal. Beautifully appointed double bathrooms will further enhance your experience. Guests will end their spectacular vacation off on a high note at the magnificent Oceana Beach & Wildlife Reserve in Port Alfred close to Port Elizabeth, where they will spend the next three nights. An approximate one hour 50-minute drive from No5 By Mantis Hotel. Set in a spectacular and unique environment, Oceana offers a truly special luxury boutique experience. The property is perfectly positioned within a sprawling wildlife sanctuary, fronted by a pristine 7km stretch of private beach. With absolutely everything taken care of by their discreet staff, this private and intimate destination is where guests go for a “holiday whilst on holiday”. Spacious and airy, all luxury accommodation options offer captivating views of the sand and sea, framed by indigenous shrubs and trees that create an easy island-living feel. They have seven double Suites to choose from, all with private decks and full bathrooms. Guests may also choose to book the magnificent double-storey Private House, with three en-suite double rooms. The Private House has private access, a spacious lounge with fireplace, private plunge pool on the deck, as well as a fully equipped kitchen, bar and dining area for effortless entertaining. The reserve is home to more than 220 species of bird and 30 animal species, including rhino, giraffe and many others that can often be viewed from your suite. On-site attractions include safari drives, spa treatments, fine dining, games room, swimming and beach activities. From golf to fishing, birdwatching and more, there are also many other activities to be enjoyed in and around the charming town of Port Alfred. After breakfast, an approximate 1 hour 45-minute drive will bring you to Port Elizabeth International Airport from where you will start your journey home after a holiday of a lifetime.